People come to Alaska for several reasons but all of them leave in awe of its natural beauty. Whether you are an avid outdoorsman or more of a fair-weather adventurer you will more than likely fall in love with the landscape that Alaska has to offer. Some of the biggest Alaska attractions include the fishing, wildlife viewing and the overall untouched beauty of the state. With almost constant 24 hour daylight in the summer you should have no problem fitting in all the attractions you want to see during your trip to Alaska. Many a fisherman makes their way up to Alaska in search of the magnificent King Salmon. Running through the lakes of South-central Alaska from around late May till mid July these fish are the reason several visitors make the trip to Alaska each year. With several hot spots just a short plane ride from Anchorage it’s easy to check this particular fish off your list of recently caught. If you miss king season there is still the rest of the season to catch silver and red salmon so don’t be discouraged if your trip falls after king season. Whether you are an avid angler or a novice fisherman there is a trip for you! Check out our variety of fishing tours suitable for those of all levels. Our most popular fishing trip is a guided day trip to Lake Creek. Alaska is swarming with wildlife, Moose, Bears, Whales, and Bald Eagles, are just a few of the creatures people hope to see on their trip to Alaska. While some of these are easier to spot than others (moose can be seen roaming around Anchorage), most require a special trip. There are several ways to see some of the more elusive of Alaska Wildlife from whale watching tours to bear viewing trips. These trips are designed specifically for you to spot these majestic creatures and most offer a 99% chance that you will indeed see whatever it is you’re spotting for. All of these trips can be organized from Anchorage, although you will be leaving town to actually do the tours. If these aren’t in your budget a trip to the Alaska Zoo (link?) can help you get most things checked off your list. 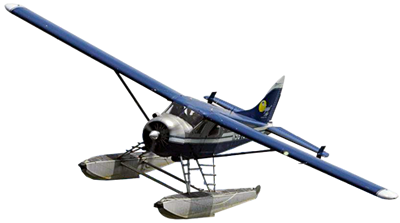 Check out Regal Air’s Bear viewing trips, The Silver Salmon Creek and Katmai National Park tours are among the most popular. Mt. McKinley is without question one of the most famous attractions in the state, towering 20,320 feet into the air it dominates the Alaska Range. Climbers from all over the world come every spring to try to measure their skills against this giant, and enthusiasts come all summer to capture its beauty and enjoy the park.